Collisions are accidents in which a vehicle hits another vehicle, structure, person or animal. They happen every day on roads, resulting to injuries and property damage. Although there are safety measures that can be exercised, some accidents cannot be avoided. The severity of injuries and damage depend on various different factors such as the engineering of cars, road conditions, the safety gears, and features of cars and the behavior and knowledge of drivers. Collision damages inevitably happen when vehicles experience road collisions. Here are the types of collisions and the damages that are incurred from them. A front collision damage happens when the front end of a vehicle is damaged due to a collision. The damage from this kind of collision usually depends on the impact. The front bumper, headlights, fenders, hood and sometimes even the engine compartment may be damaged in a front end collision. A rear end collision is when a vehicle crashes into the back of another vehicle. The most common injury associated with a rear end collision is the whiplash. It is the injury caused by the impact of the accident on the neck, which is strained by the forward and backward movement of the head. The usual culprit in this kind of accident is the driver that hits the rear end of the other car. However, this can also happen when the car in front decelerates unexpectedly and the car behind it does not have enough time to brake. Rear end collisions usually damage the powertrain which consists of the drive shaft, transmission and other components. 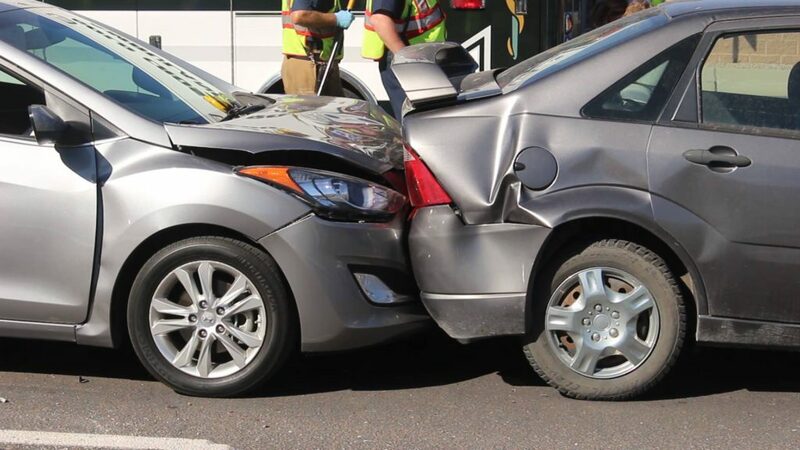 A head on collision occurs when the front ends of two cars hit each other. Although rare, this is usually a severe and fatal type of accident that can lead not only to severe vehicle damage but serious, life-threatening injuries as well. This accident usually damages the front end of both cars. Side impact collision or T-bone collision occurs when the front end of a car crashes into the side of another car. This accident may be fatal especially to the person occupying the side of the vehicle which absorbed the crash. Since the side of cars have little protection, the body of the side may crumple, causing severe damage to the body of the vehicle on serious injuries on the passengers or driver. A sideswipe collision occurs when two vehicles which are moving side by side hit each other. This usually happens when one vehicle changes lanes unexpectedly. This type of collision usually damages the driver or passenger’s doors, side-view mirror and quarter panels. Accidents cannot be avoided but the damages incurred can be lessened by exercising safety measures when driving. Make sure that your car is in good condition when driving. Your car must also be complete with all the safety gears to ensure that you are protected during accidents. And most importantly, take extra precaution when driving. Be attentive, concentrate and avoid doing other tasks while on the road.